Our final rate is based on time and distance travelled. It usually ends up being $5-15 more than a one-way taxi fare and less than a round trip taxi fare. It all depends on which route you take. Our base rate is $25.00 + $2.75/km thereafter. Yes, we accept Visa, MasterCard, and American Express. We now also accept Interac Flash (TAP ONLY – mobile or debit card). If you have the debit tap feature turned off on your card, we will not be able to accept debit payment. My vehicle has a manual transmission, is that okay? Most of our drivers can drive both automatic and manual transmission vehicles. However, we do recommend you notify us when calling in for a pick-up. What is the cheapest way to get home with your service? We charge by the kilometre so the shortest route is always the cheapest, even if it’s not the fastest. Do I need a car to call you? Yes, we are not a taxi or limo company. When you call us, you are ordering a driver to drive your personal vehicle. We do not transport passengers in our cars. Can I book my ride in advance with you? Yes, you may pre-book in advance with us. However, for busy nights such as New Years, Halloween, and Canada Day, we do not accept pre-bookings due to high demand. We accept advanced bookings for all other days. Will I be contacted by your driver prior to their arrival? Yes, our drivers will contact you 5 minutes before they arrive. Please remember to leave your phones on so you don’t miss their call. How long does it take the driver to arrive after I call you? We try our best to service all customers within a 20-25 minute timeframe. Please be aware that wait times may be longer at peak times such as bar closures, special events, and holidays. Can I make separate stops on the way to my final destination? Yes you may, as long as the stops are on the way to your final destination. We do not charge for stops at banks or ATM’s. For any stops that are not on the way to your final destination, we will charge our regular rate by the kilometre at the end of the trip. Also, fast food and convenience store stops are charged at 75¢ per minute. 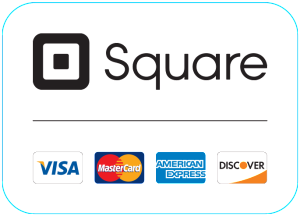 We accept cash, all major credit cards, and Interac Flash (TAP ONLY – mobile or debit card). If you have the debit tap feature turned off on your card, we will not be able to accept debit payment. Our regular hours of operation are from 6pm – 5am, 7 days a week. However, you may also contact us outside of our regular hours of operation to arrange a pickup.